Our goal is to innovate an inefficient industry and disrupt expensive incumbents through a strategic rollout and adoption of a blockchain platform powered by smart contracts and artificial intelligence (AI). Transparency is immutably anchored deeply into the system and on the platform with the integrity of data provided by the fundamental feature of the blockchain. With significant reduction of costs in verification and networking processes, provision of transparency, good intents, and the collaboration of hidden key talents around the globe, we intend to create a brand-new designed insurance marketplace in a decentralized fashion that fairly incentivizes every player on the platform. Policyholders will no longer worry. Adopting incumbents or contributing actuaries will be awarded with higher profit than ever. Investors will be happy as well. Join our fight to change the economic landscape for insurance and medical care so we can create this triatomic beneficial ecosystem that will provide both protective and fairly priced policies for current and future global citizens. Our goal is to innovate an inefficient industry and disrupt expensive incumbents through a strategic rollout and adoption of a blockchain platform powered by smart contracts and artificial intelligence (AI). Transparency is immutably anchored deeply into the system and on the platform with the integrity of data provided by the fundamental feature of the blockchain. 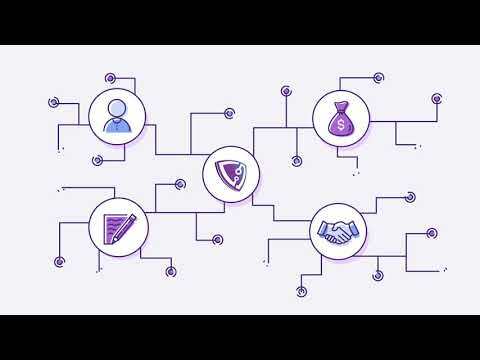 With significant reduction of costs in verification and networking processes, provision of transparency, good intents, and the collaboration of hidden key talents around the globe, we intend to create a brand-new designed insurance marketplace in a decentralized fashion that fairly incentivizes every player on the platform. Policyholders will no longer worry. Adopting incumbents or contributing actuaries will be awarded with higher profit than ever. Investors will be happy as well. Join our fight to change the economic landscape for insurance and medical care so we can create this triatomic beneficial ecosystem that will provide both protective and fairly priced insurance policies for current and future global citizens. 느끼고 생각된대로 공정하게 의견을 남깁니다. 제가 중요하게 보는 관점은 4가지 입니다. 좀 더 직관적이고 명확하게 표현을 해줄 필요가 있다고 생각합니다. 최대한 편의성이 제공되야 한다는 것입니다. 우선적으로 사람들이 관심을 가지는 분야들은 일반적으로 정해져 있을 겁니다. 사람들의 이목을 끌만한 마케팅은 늘 중요하게 여겨진다고 생각합니다. - INR ownership gets you right to get a share from our net profit. Initial Recruitment & Partnership settle. First Round of Airdrop for community build-up. Security Token Offering (STO): Seed Stage. Prototype launch with Smart Contract security test. Consideration of INR exchange listing. Official Platform launch. Initiate Worldwide Marketing.